Knock 'em down with top quality! TenPoint Pro Lite Crossbow Bolts are made from 100% carbon and feature slightly offset fletching, 3.5" Bohning X Vanes, and a SuperBrite Omni-Nock. Shafts are inspected for straightness to within .003" and hand-sorted for weight tolerance. Includes 3 Crossbow Arrows. NOTE: Not for use with pre-2012 TenPoint Crossbows. 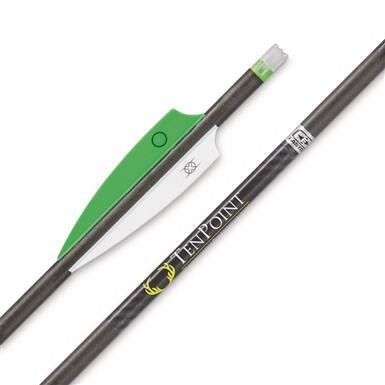 TenPoint Pro Lite 20 Carbon Crossbow Arrows, 370 Grain, 6 Pack is rated 4.9 out of 5 by 29. Rated 5 out of 5 by 05 Ford from Great arrows Very good all around arrow from target practice to hunting. 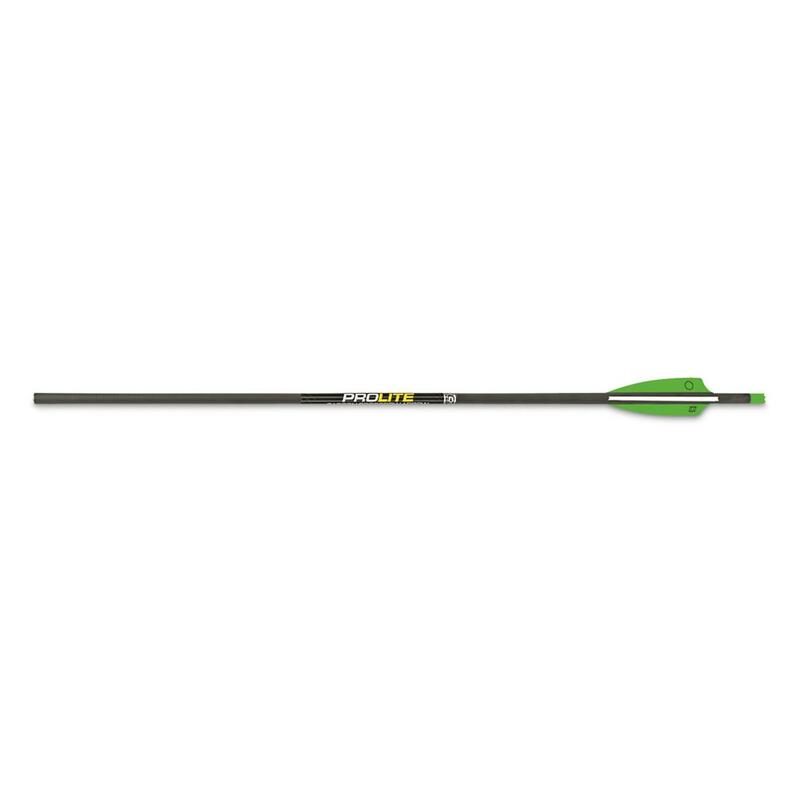 Super light and great accuracy. Rated 5 out of 5 by Kell6533 from very accurate!!! like i said very accurate! Personally i like them better then the alum. arrows. Rated 5 out of 5 by Afishyo from Extremely Accurate and fast I bought a half doz. of the Pro Lite arrows to shoot in my new Stealth NXT and to my surprise they are more accurate than the Center punch arrows that came with it. WOW faster & more accurate! Gotta love that. Rated 5 out of 5 by Ed51 from Lightning fast arrows These arrows fly off my crossbow so fast, that if I didn't use a lighted nock, I'd never see them. Rated 5 out of 5 by madmex1 from Great arrow I've followed the recommended weight of broad heads (fixed then mechanical) and have had success in harvesting several whitetail deer. Along with the use of Omni-Brite nocks this makes a great combination when hunting with my Titan Extreme. Although I only have a couple of photos of hunting success several other deer have been harvested using my TenPoint crossbow and accessories. Rated 4 out of 5 by Hammering from Very consistant shooting bolts. These bolts are high quality and shoot tight groups. They also are very sturdy and hold up through a lot of practice and hunting use.